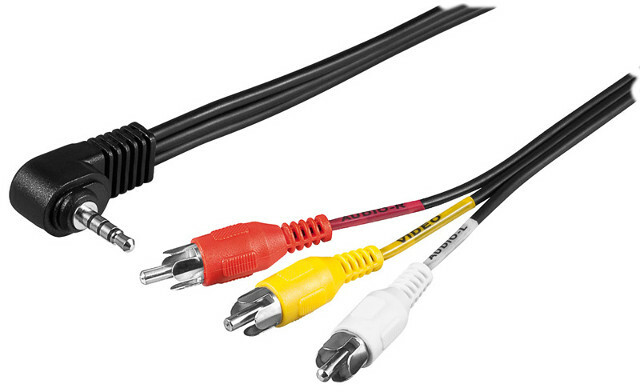 This audio/video cable allows you to connect digital cameras or other devices with a 3.5 mm AV socket to monitors and TV sets with composite video and audio RCA sockets. Also suitable for the Raspberry Pi Model B+. Please note that in case of the RPi B+ the video and right audio plugs (yellow and red, respectively) are swapped.